Here is a raw (unedited) video of a final exam in a German 202 class. It was delivered with Sanako Lab 300 in a synchronous face-to-face teaching environment. Students (re)viewed a movie (Lola rennt), while doing target language subtitle-based with self-developed (MS-Word templates using VBA) fill-in-the-gap exercises on grammar and vocabulary – listening comprehension. Apart from the teacher managing the exam distribution on the Sanako Lab 300 Teacher computer, you can see the teacher watching the students taking the exams – each thumbnail with subtitle text in the Sanako Mosaic window represents one student computer. 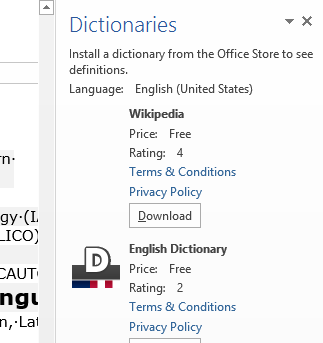 The students get the benefit of AI: lookup of internet resources (which is enabled through VBA with double-click on words in a subtitle which leads to the default dictionary, in this case set to http://dict.leo.org), as well as a dropdown menu with more advanced Dictionaries and Encyclopedia. The students also get the benefit of immediate AI feedback to their input – better basis for learning than receiving a corrected homework or exam in a, time-wise, complete disconnect from the learning activity (and the feedback is faster than if it were web-based, since it is local to the client computer). The teacher gets the benefit of an easy overview of students learning, of routine corrections being performed by AI in the exercise template, and, where s/he finds additional guidance is needed – even if not in this outcome exam situation, then during similar preparatory face-to-face activities – , can – with the help of the Sanako audio and student computer remote control system – immediately connect to a student for additional instruction at “teachable moments” (Example here).